In a new study, two researchers have successfully used fat cells (adipocytes) to expand human hematopoietic stem cells (hHSCs) in vitro. Being able to grow hHSCs in the lab is something scientists have yet to achieve, and being able to do so could potentially help thousands of patients requiring a hematopoietic stem cell transplant, like leukemia victims. In the corresponding paper the researchers, Dean Liang Glettig & David L. Kaplan, first explain that hHSCs can't be cultured for prolonged periods of time, as they have a tendency to quickly die or differentiate into other types of cells. Then, they describe how they discovered that this problem can be solved by adding adipocytes (fat cells) in the feeder layer used in the hHSCs cultures. In total, the researchers did five experiments, each one with a varying concentration of adipocytes. The study concludes that in all five experiments, hHSCs survival was prolonged by using feeder layers that contained adipocytes. 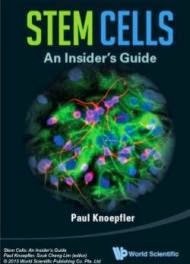 "The ability to prolong hHSC culture in vitro not only benefits basic stem cell research, it is also an important step towards developing advanced cell therapies for future clinical use," said Jane Taylor, PhD from the BioResearch Open Access journal in which the study was initially published. New technique allows researchers to grow hematopoietic stem cells "on an industrial scale"